These five over-the-top resorts are ones that should be on every traveller's' bucket list for offering impeccable service, opulent suites (or private villas), award-winning dining experiences, and that far-away feeling every intrepid traveller seeks. Lounging on a 3,500 acre private island without a footprint in the sand, jumping off the porch of an overwater villa into a sparkling lagoon, and wading in an infinity pool while gazing at the St. Lucia's tree-covered mountains. These are the types of experiences you can have in the world's most luxurious resorts, and finding yourself there isn't as farfetched as it seems. You don't have to be Marlon Brando or Johnny Depp to soak in the sun's rays on your own private island. Fiji's Laucala Island offers 3,500 acres of private island paradise to guests staying in the resort's 25 luxurious villas. Each villa meticulously combines authentic Fijian style with the most modern amenities to create a private island experience that's nothing shy of unforgettable. Swaying coconut palms, untouched white sand beaches, tropical lagoons, and five exclusive farm-to-table restaurants set this slice of paradise above most others around the world. In front of St. Lucia's legendary Jade Mountain and overlooking the turquoise Caribbean Sea is the 600-acre beach resort known as the Jade Mountain Club. 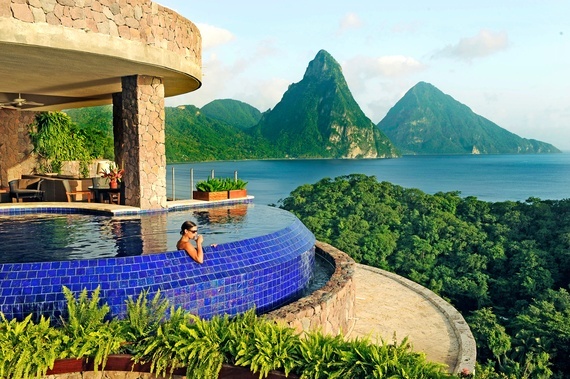 The resort wraps around an inviting infinity pool, which serves as one of the best places on the grounds to admire St. Lucia's Pitons World Heritage Site and a kaleidoscope of stars at night. Guests also enjoy the resort's iconic restaurant, Jade Cuisine, run by James Beard Award-winning Chef Allen Susser. Whether your ideal escape involves ultimate relaxation, water-based adventures, spa days, or an equal dose of it all, you're guaranteed to live your dream vacation at Jade Mountain. Gili Lankanfushi is more than simply a private island paradise. While it's set on the private island of Lankanfushi, the 45 spacious overwater villas put visitors more in touch with the sea than land. The mellow, sparkling waters of the lagoon sit just outside every villa, providing one of the best places in the world to relax among the warm breezes and sounds of the sea. 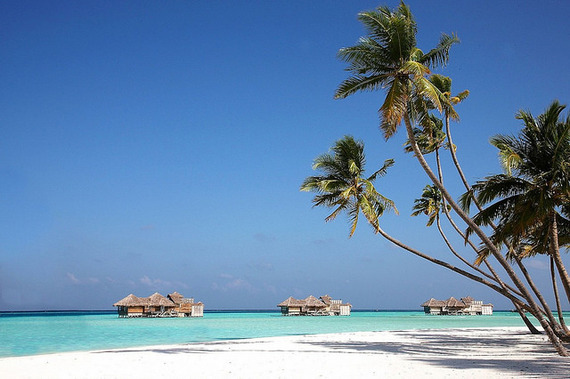 In addition to offering accommodations that will undeniably transport you to a simpler time and place, the staff at Gili Lankanfushi is available to help plan adventures, make restaurant reservations, organize sunset cruises, and set up spa appointments 24 hours a day. 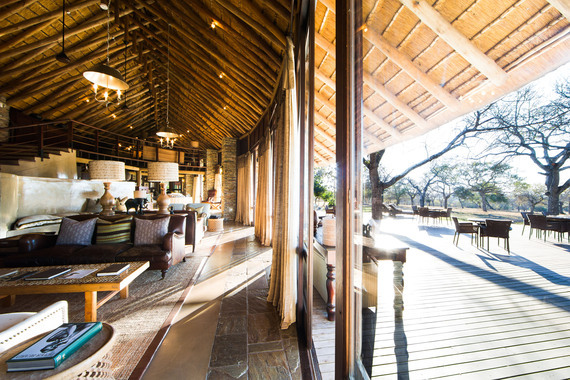 Opened in June of 2015, the Makanyi Private Game Lodge offers a spectacular indoor-outdoor experience in the heart of South Africa's 2.4-million-hectare Greater Kruger National Park. Due to the small number of commercial game lodges in the area, guests enjoy an entirely private and undeniably wild experience where some of the world's rarest animals roam freely. The lodge's luxurious setting gives way to laid-back but personalized service that allows guests to take in all of the beauty and excitement of the African wilderness. Not all luxury resort experiences involve flights around the world. Watch Hill, Rhode Island's picturesque Ocean House resort offers some of the most carefully-prepared and impressive guest services and amenities in the industry, making each guest's experience one that is personalized to their wants and needs. Complimentary resort activities include culinary courses, guided yoga, and the use of one of four Mercedes-Benz convertibles for self-guided cruises throughout the Ocean State. However, the resort's private beach, beach butler service, and state-of-the-art Center for Wine & Culinary Arts will never entice you to leave.